Born and raised in the tea gardens of Assam, I’ve always related home to the sight of dark green leaves glistening in the sun, the sound of large dryers whirring in the factory, and the smell of garden fresh tea lingering in the house. Habituated to the flat plains though, this was the first time that I was laying eyes on tea plantations that stretched across vast slopes of hills with greener mountains at their backdrops. In Darjeeling, the tea gardens provided a more dramatic and stunning sight than I was used to and I definitely wasn’t complaining. On a rainy morning, Tejas and I reached Makaibari Tea Estate, our last destination in Darjeeling. Famed for producing the finest quality of organic tea and also the most expensive Silver tips tea, Makaibari hosts travellers and tea enthusiasts from across the globe every year. 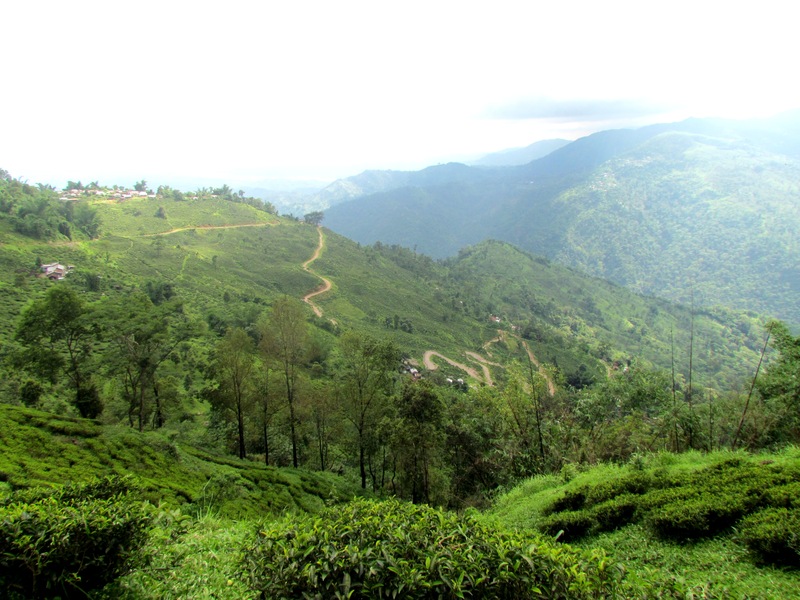 Seven villages and a dense forest cover characterise the tea estate. 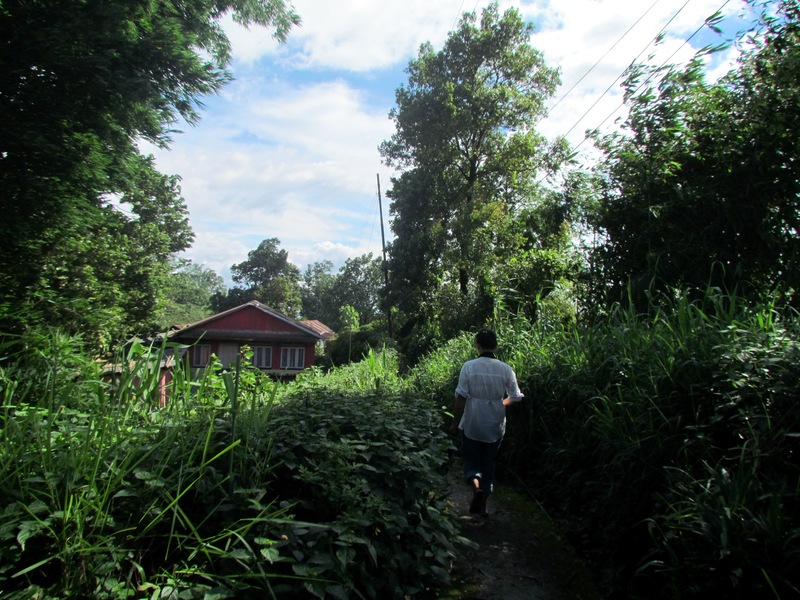 As we zigzagged our way through narrow lanes of the villages that day, visiting the houses of the tea pluckers on our way, we noticed a pattern more striking than that of multiple cups of flavorful tea. The tea estate, through its various little policies over the years, had given rise to an empowered women population. Other than encouraging women to set up responsible home stays so they could generate extra income for their household, Makaibari had also begun the trend of electing female garden supervisors. In fact, our host, Mrs. Maya Devi was a garden supervisor herself, with a sizable number of tea pluckers under her, whose work she inspected and managed on a daily basis. We met Mrs. Bhumika, who actively took part in garbage management in the area, and Mrs. Verbina who encouraged her children to improve their English and learn about different regions and their cultures from her guests. The most inspiring person we met, however, was Mrs. Ranju. Guiding us to her village of Phoolbari that lay a scenic walk way, she introduced us to home stay owners there. She constantly asked us for our suggestions and feedback, and advised families on ways to improve their service and hospitality. We learnt how passionate she was about propagating her culture to people from different parts of the world. In fact, she had been organising and taking part in local cultural shows out of the same passion. It was evident how the position of power, the ability to be entrepreneurs and contribute to the family income, had encouraged these women to be fearless and confident. Before we said said goodbye, Mrs. Ranju left us with a beautiful Nepalese song and told us how much these interactions with working women encouraged her. I hope she realises that women like her inspire us way more. About the Traveller: Born and raised in Assam, Sarita Santoshini has been travelling around India and penning down her experiences over the past year. You can read more of her travelogues in her blog- http://crumbsfromyourtale.wordpress.com .